The other day I glanced out of the window and noticed some white things drifting upwards. At first I thought perhaps someone was outside blowing bubbles. Then I remembered the weather forecaster had said that it might snow in Wellington that day...but of course I didn't believe him at the time. What would he know? 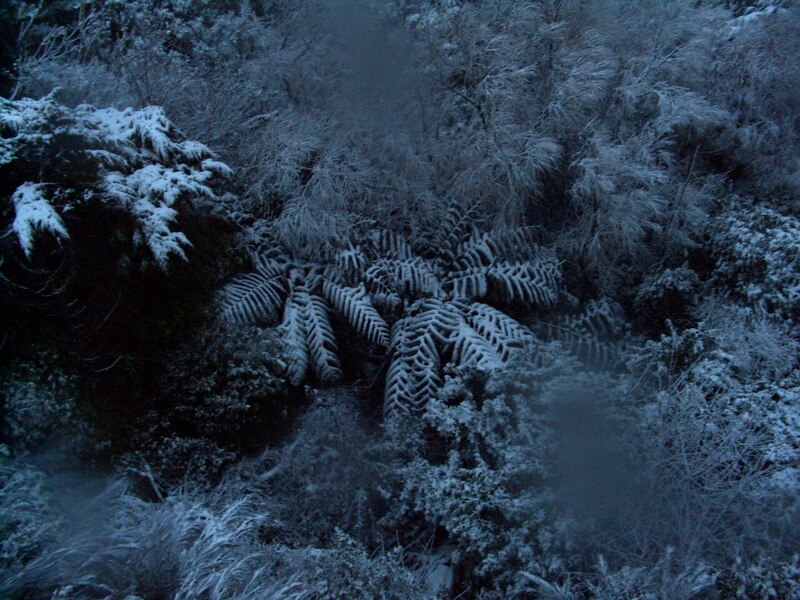 It hardly ever snows in Wellington. It gets cold and windy (the unofficial name of Wellington is 'Windy Wellington' - I once read an article in the newspaper where the author stated 'only fools and tourists try to use an umbrella in Wellington') and the rain sometimes goes from left to right instead of down, and sometimes you have to hold on to things to stay upright, but never SNOW! 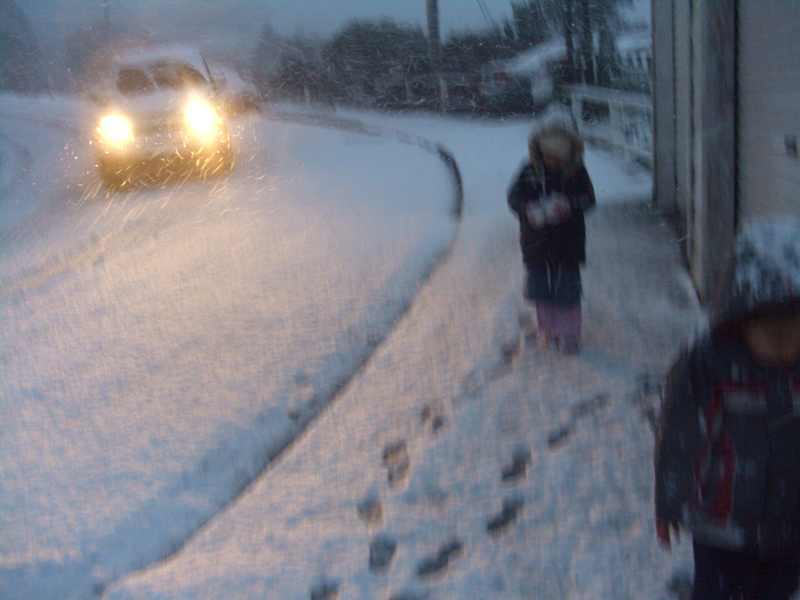 Children play in the snow, Wellington, New Zealand, August 2011. So when I realised that they were not bubbles, but very light snowflakes being whisked up by the wind, I shouted to the kids and we all rushed outside to have a look. It was amazing, fluffy, soft, and beautiful, and it drifted on to the roofs, the trees, the cars and the roads and made everything suddenly quiet and mysterious. It was almost time for sunset, and everything turned a romantic shade of wintery blue, contrasting with the golden lights shining out of people's windows. Smoke curled cosily out of chimneys into the cold air, and we could hear children (and adults too) screaming with excitement as they rushed out to have a look. It was like something out of one of those holiday cards you get covered in glitter. Ok, I can feel this post getting just a little cheesy and emotional, so I think i'd better go ahead and show you some more photos. Enjoy! The native forest covered in a layer of snow, Wellington New Zealand, 2011. The snowy scene we woke to this morning. Looking out towards Jonnsonville, Wellington, New Zealand, 2011. Looking out towards the tower over Johnsonville, Wellington New Zealand, 2011. I know some of you who live in really cold countries are looking at the pictures thinking 'Snow? That's just a sprinkling of fluff!' . Ok, I know it doesn't look like much, but in a place where I think the last snowfall to sea-level was 15-20 years ago (correct me if I'm wrong), you can kind of see why we all got a little over-excited hehe. Actually, today it snowed again, and it was seriously heavy, a proper blizzard, where the snowflakes smack you in the face. Trust me, I'm not exaggerating. I made the mistake of going out for a walk in it (we live quite high above sea-level and got the worst of it) and I was like a block of ice when I got back, all white on one side. 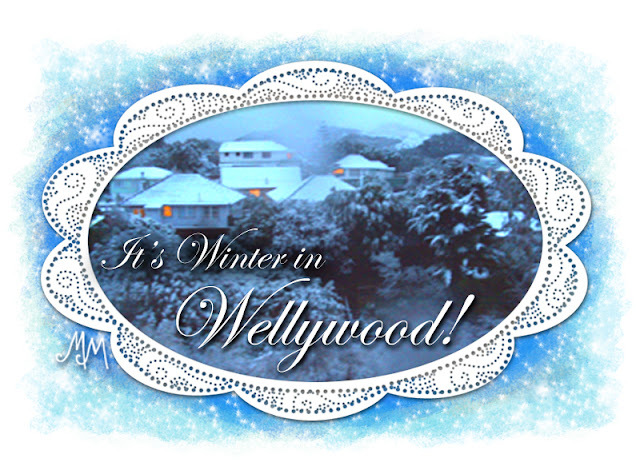 Remind me next time, when the snow starts falling lightly, not to think 'ohh...it's a winter wonderland, how lovely'. Because of my lack of snow experience, I failed to realise that it would turn into a proper snow storm. One smart-Alec guy driving down the road saw me, stopped his car, rolled down the window and shouted 'You're mad! Go home!' in a joking sort of way. Here is a really nice video I just found which shows how the snow caught people by surprise. A pretty good little film made in such quick time! I wish we had some snow here. Fabulous video! Isn't snow magical? Here in the Midwest USA, we take it for granted and fail to stop and see the magic. I love how snow transforms the landscape! Thanks for sharing! I saw it on the news yesterday - how you were all taken by a surprise at the snow - and here you are sharing your pictures! I love the snow (because I am from Malaysia, with only the sun) and don't mind fluffy snow, or rainy snow, or blizzards! Hahahahah!!! Thanks for the comments everyone! Yes, it was really magical while it lasted. Its all gone now, washed away by the rain...it feels like it was all just a dream. I wonder if it will snow next winter as well? 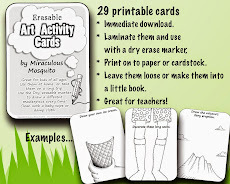 Mystery Drawing Makeover - A New Video. Illuminated 'M' Print...and more to come. 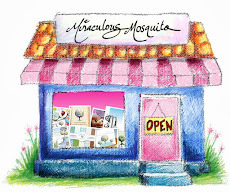 Miraculous Mosquito Art Prints...Coming Soon!